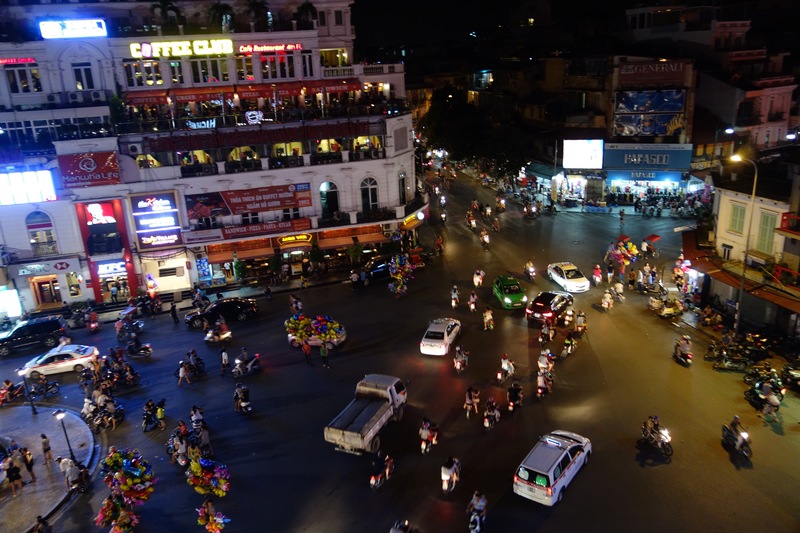 I think one of the best phrases to describe Hanoi’s Old Quarter would be ‘moped madness’. 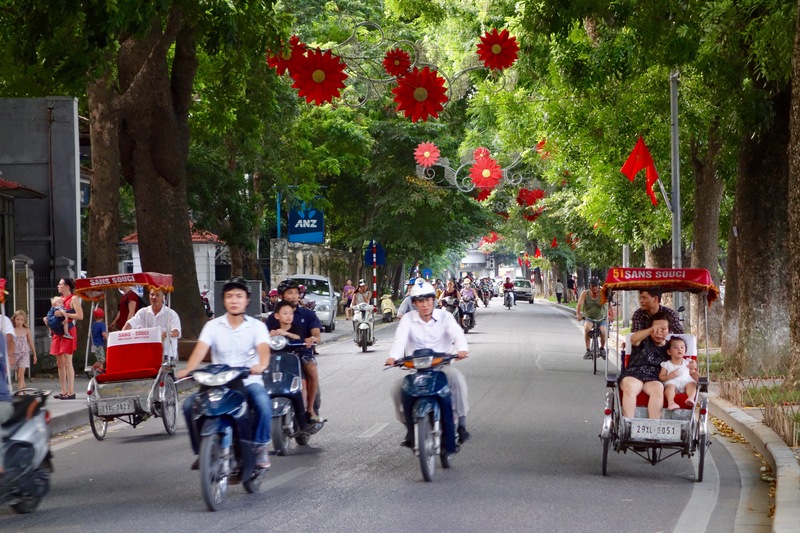 There are 4 million bikes in Hanoi, and it seems that they are all trying to get down one street at the same time; but up, down, sideways, on the pavement, and in every direction imaginable. The buildings are tall, thin, and haphazard. Tangled masses of electrical wiring hang precariously from every street corner. Entrances are somehow hidden amongst the street stalls, and if you blink you could quite easily miss the entrance to a grand hotel. It is frenetic and buzzing, alive with the smell of coffee and kerosene. And, once we got over the idea of seemingly taking our lives into our own hands when crossing the road, it is awesome. 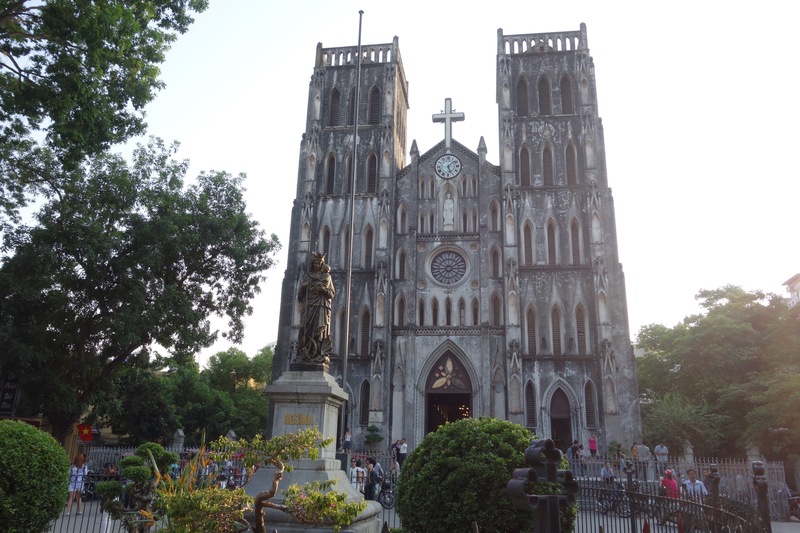 Hanoi’s beautiful Cathedral… built in French Colonial times. 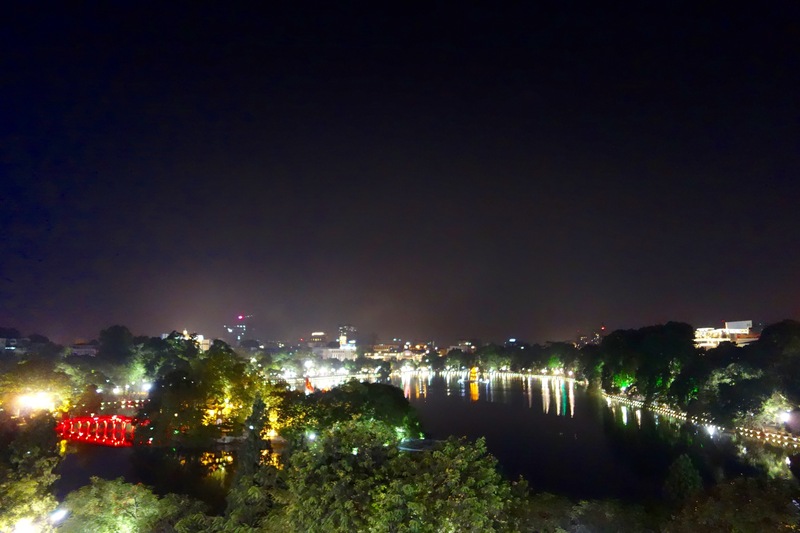 Hoan Kiem Lake at night. 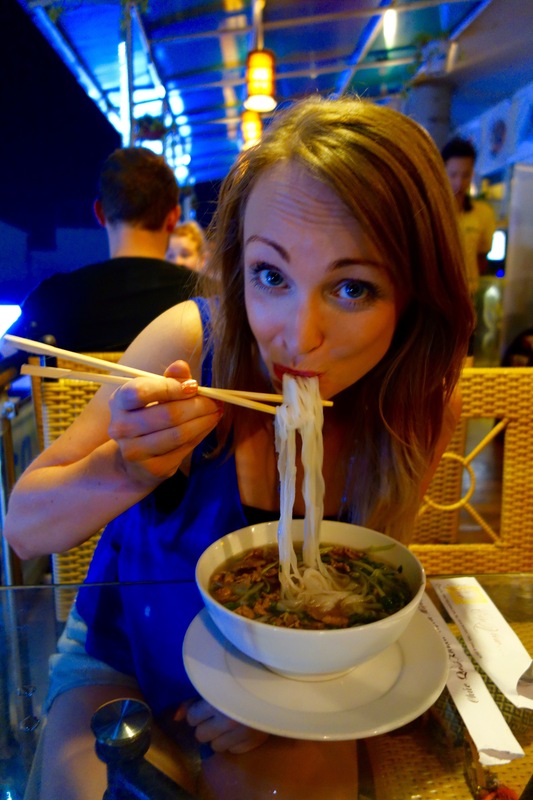 All the salty noodle goodness a girl could wish for. It’s probably useful to mention something about budget here; throughout the trip we went mid-range. Not quite backpacker, not quite flashpacker (a useful description I know, but for places I’d recommend I’ve also included an idea of prices). 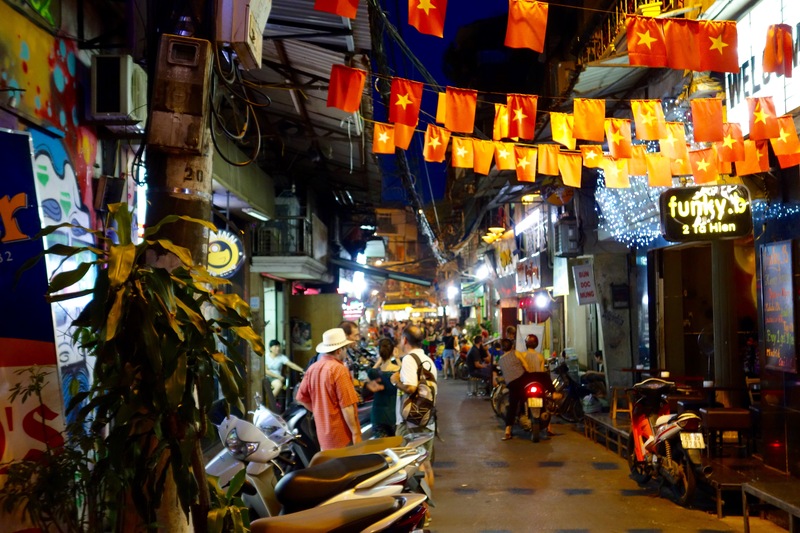 The first stay on our itinerary was right in the thick of it, in Hanoi’s Old Quarter. This is where most tourists and backpackers stay. We stayed at the Oriental Central Hotel, and I cannot speak highly enough of it. Lovely staff, spacious, spotless rooms, and very comfortable beds. The superior rooms are much bigger, and at the back of the hotel, far away from the noise below. So, for what is essentially an extra fiver, getting one of these was money well spent. A superior deluxe room cost £30 a night. 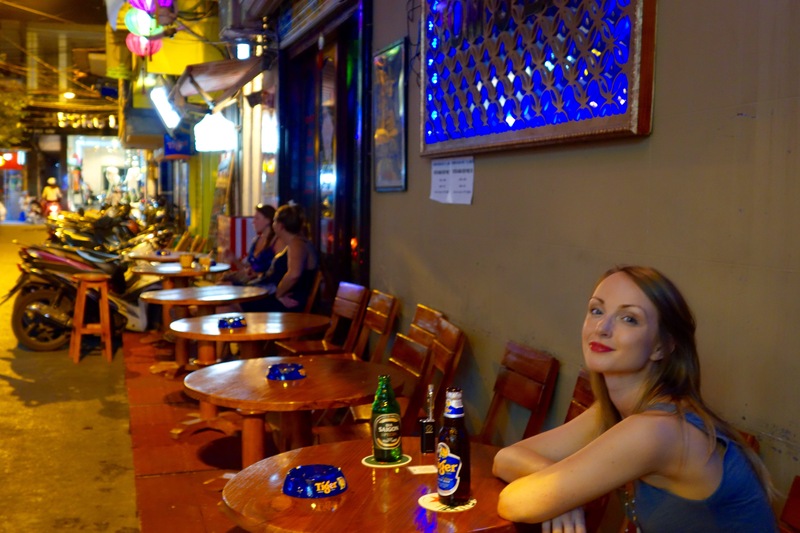 In Bia Hoi (or, Beer Street) in Hanoi’s Old Quarter, you can sample the local brewed beer, or sit outside drinking bottles of Tiger, for less than 50p! It’s also a great place to get a steamboat. 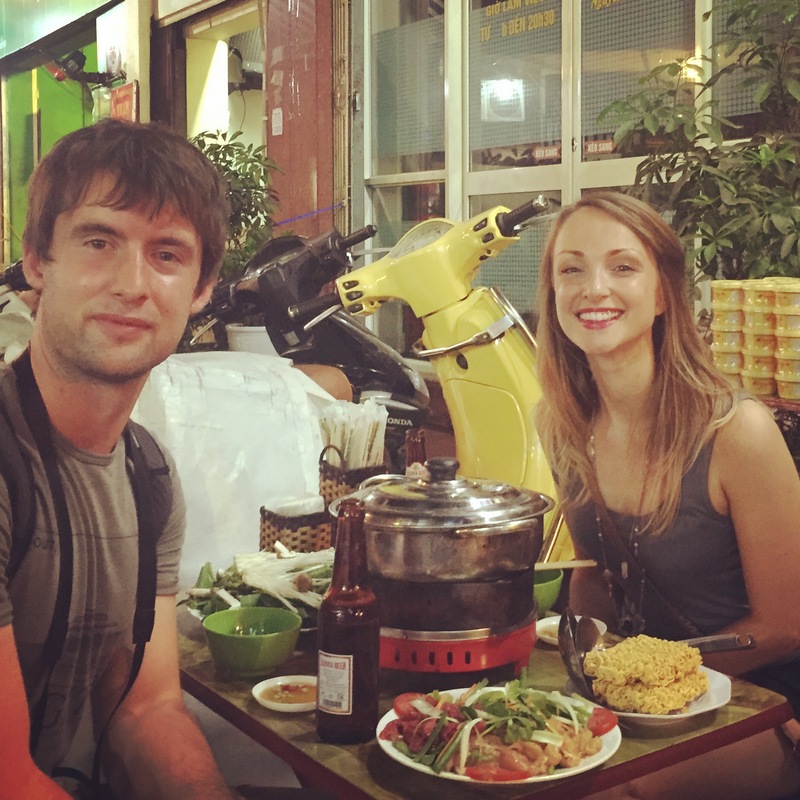 A good example of typical Vietnamese cuisine, a steamboat is fresh and simple, and is cooked together at the table. 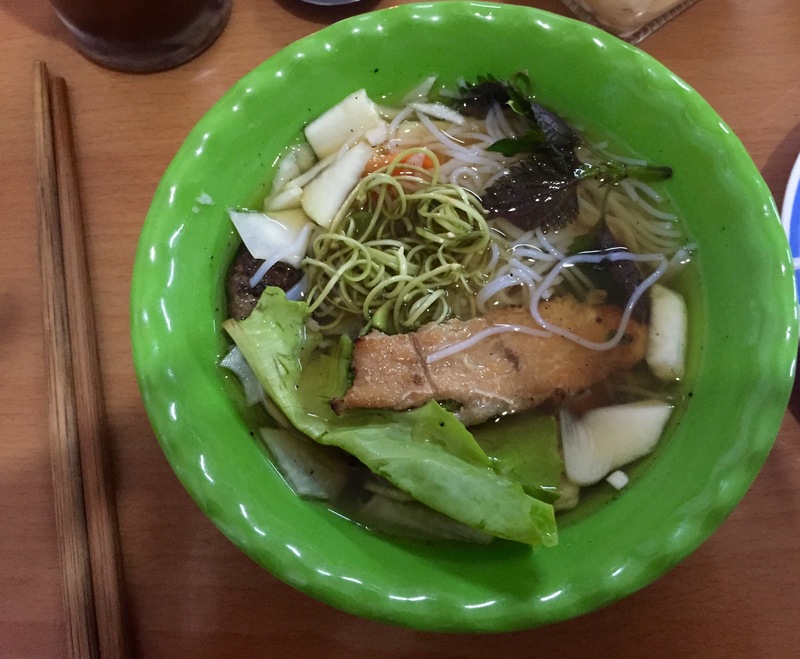 It consists of a simmering pot of hot broth, in which you poach your own meat, seafood and veggies. We went for beef and chicken with greens and enochi mushrooms. It was deelish! A stone’s throw away from the Old Quarter, the other side of Hoan Kiem Lake, the prison was built just before the turn of the 20th Century under French Colonial rule. It is quite a foreboding place, with dark corridors and holding rooms and cells that remain much how they were when they were built. Walk around and read the stories of life in the prison. 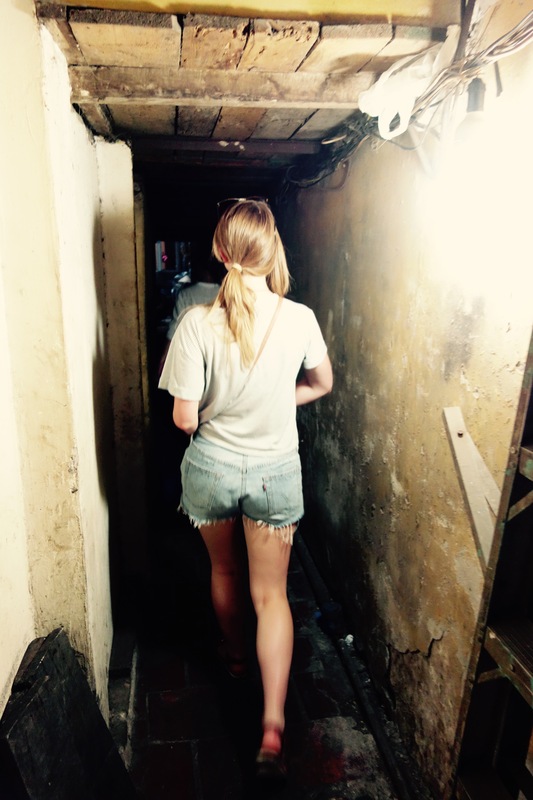 Political prisoners were housed in one ‘stockage’ or holding room together, and it was inside these walls, chained by one foot to the floor in rows of about 20, that the Vietnamese Communist Movement was born. Most of the people who would go on to be the leading lights of the Communist Party grew and cultivated their ideologies here. You may be thinking it sounds grim, depressing even, to visit a prison and read about suffering. 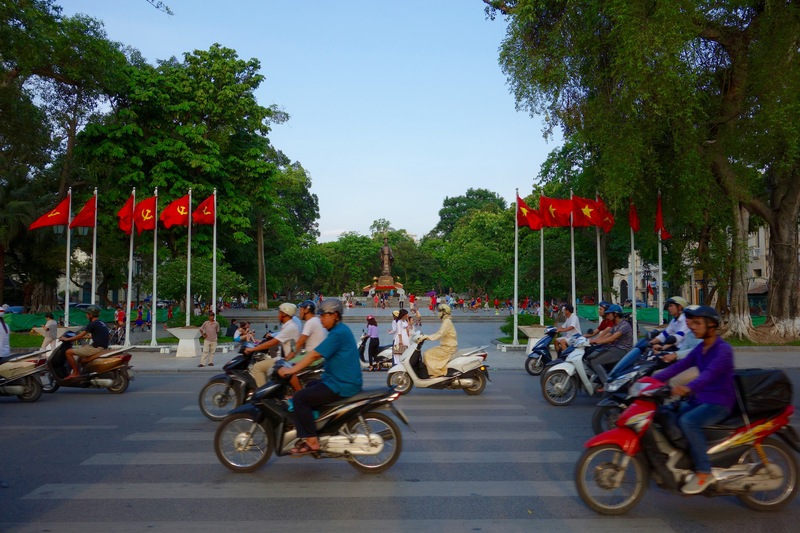 But, it really gives you a great insight into the Vietnamese people, how they have lived through both French colonisation and American invasion, and how they are still smiling and welcoming to tourists from all over the world. 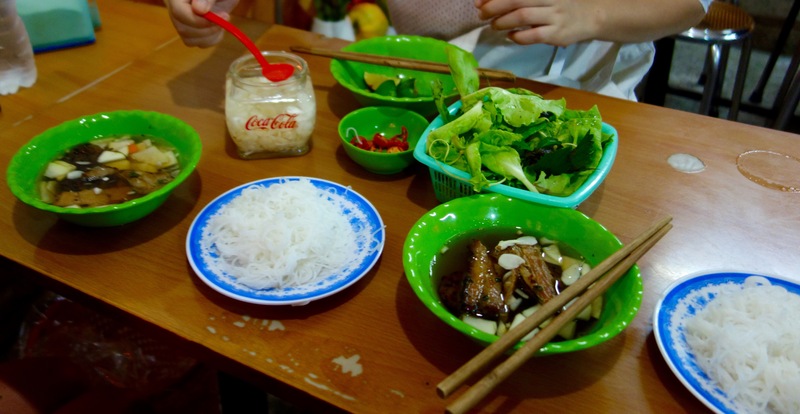 It’s interesting particularly when you see the older generations, sat cooking on the streets of Hanoi or going about their day; it gave me an appreciation of everything that is actually in living memory for them. I didn’t take any photos in here, it somehow didn’t feel right. But, it is well worth a visit. 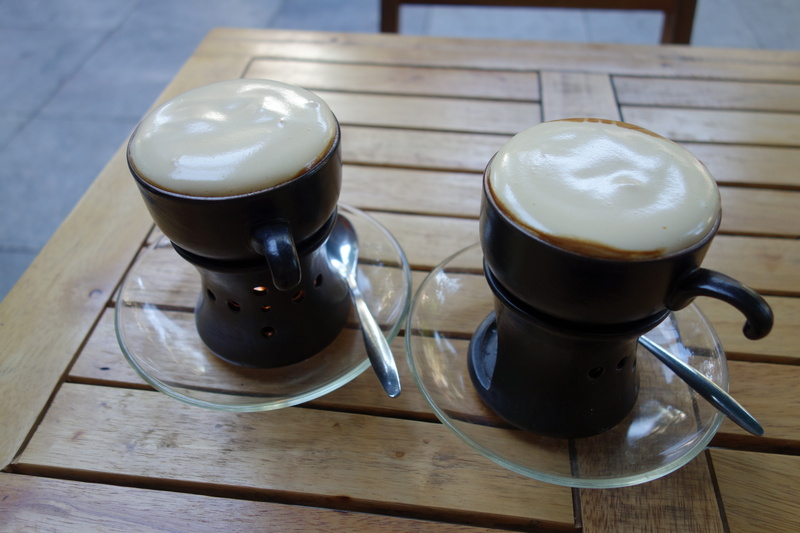 A speciality of Hanoi, this is strong, frothy espresso coffee with condensed milk and egg. Really, really good, and like no coffee I’ve tasted before! Bun Cha; Pho with barbecued pork meatballs, morning glory, and purple basil. Pork rice pancakes, with mushrooms, garlic and fried onion. A plate of deep fried delight; fresh crab spring rolls, pork mooncake, shrimp mooncake, sesame and almond dumplings and doughnuts. 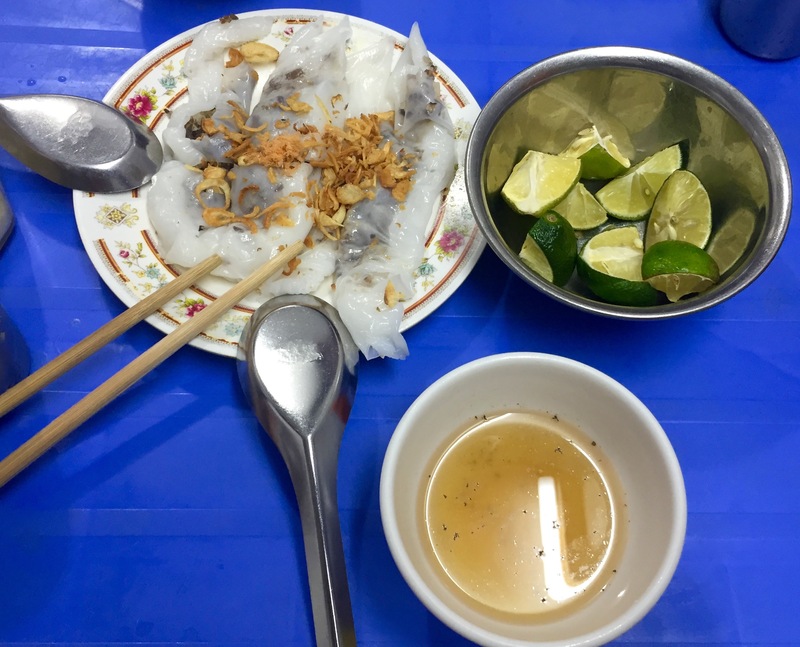 With green papaya and vinegar dipping sauce. 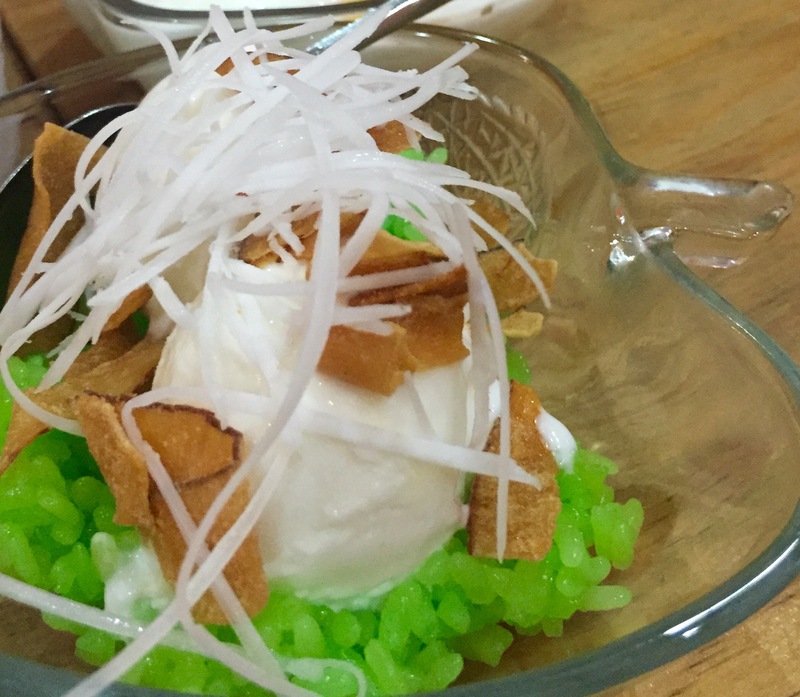 Sticky rice coconut ice cream: yum! 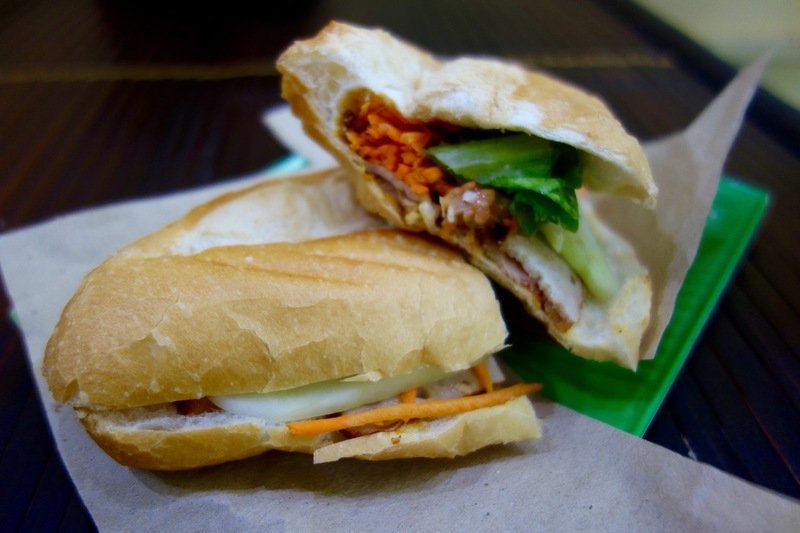 Barbecued pork Banh My; Vietnam’s speciality baguettes. 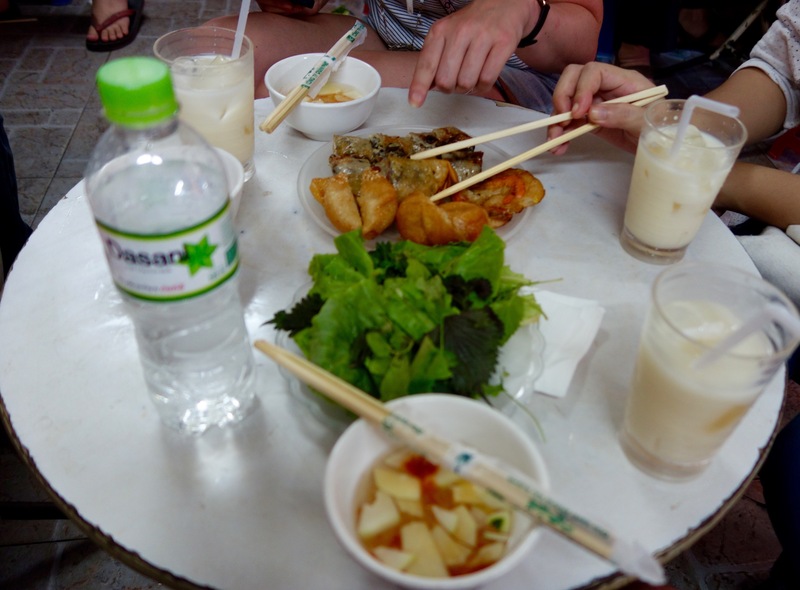 Hanoi was a great introduction to the wonders that were to come. Most people don’t stay here too long, and I don’t think you need to. But this city’s vibrant heart is not to be missed. Next stop – beautiful, beautiful Halong Bay. Post coming very soon!